Many hairstyles fade from fashion, but a crew cut haircut remains a classic. The crew cut haircut is for men who are searching for a look featuring low maintenance and high style. Whether you are an office professional or a party animal, a crew cut can be adapted to your personal aesthetic. 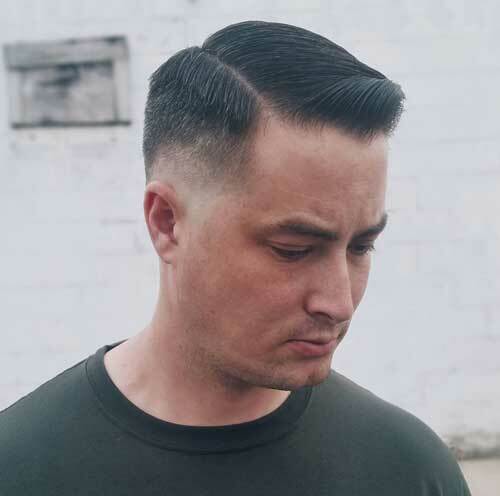 Although first made popular in the military, the crew cut haircut has found its way to the general population and is no longer just for soldiers. 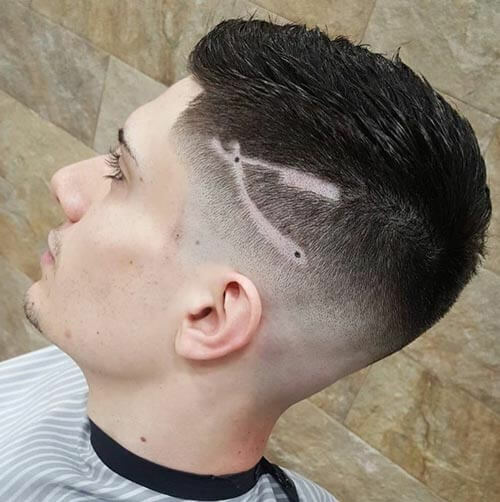 A typical crew cut haircut features very short hair on the sides of the head that slowly graduates to longer lengths at the top of the head, and it can be adapted to several different styles. The crew cut fade at the sides of the head can be shaved down to the scalp or left longer for a less dramatic look. Due to the longer lengths at the top and crown of the head, the hair can be shaped to look flat, rounded, or otherwise sculpted. Crew cut haircuts offer a structured, clean appearance when seen in profile. Another advantage of the crew cut haircut is that it may be applied to any type of hair. Depending on the length of hair, this hair style can also be parted different ways and cut to varying lengths. 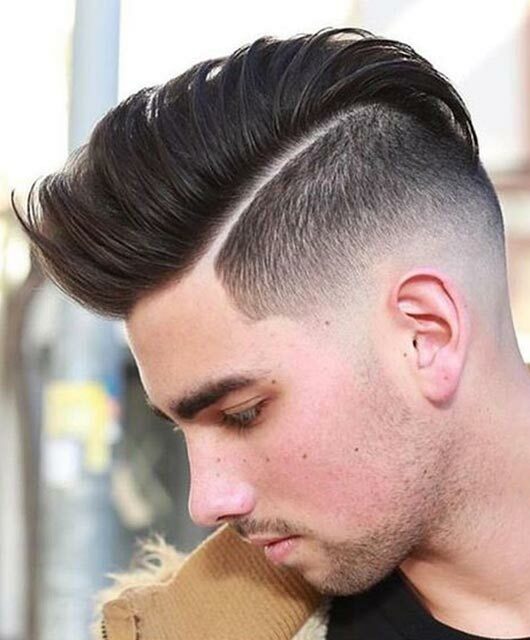 Achieving a clean, consistent appearance is key to this style. While it may look like a simple process, cutting crew cut haircuts takes skill. It is always best to go to a professional to get the best results. Some styles are more complicated and require more maintenance than others. 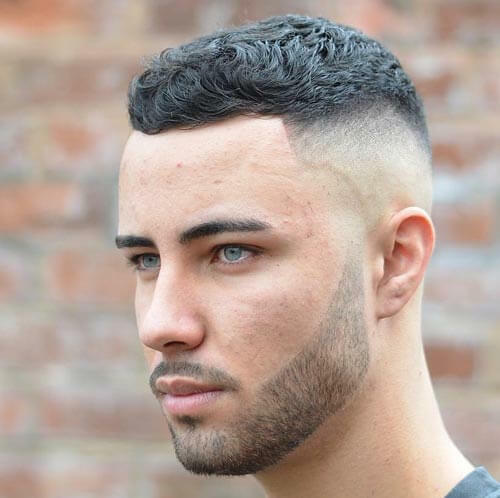 Overall, a crew cut haircut, or any close-cropped style that uses the crew cut fade technique, is an excellent way to achieve a streamlined, structured style that projects confidence. 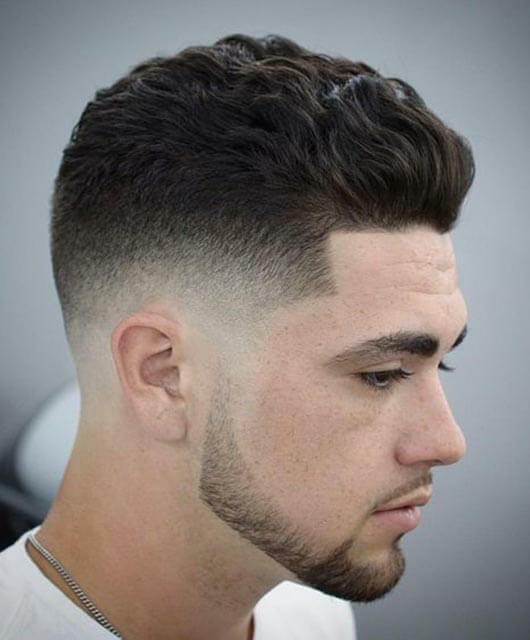 Short curls look fantastic on men but require some extra maintenance. Cutting crew styles can help manage your locks. With a curly crew cut, all you need to do is brush your hair and trim regularly. The high faded sides were meant to be worn with hair combed forward from the crown to the front. It’s a great way to manage coarse, thick or curly hair. The haircut will help tame your locks and show off your best facial features. 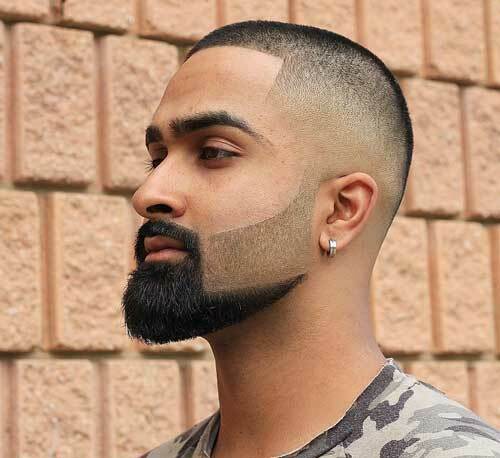 In this geometric crew cut haircut, the sharpness of the hairline at the temple echoes the sharp fade of the beard. This style is attention-getting and requires some maintenance. This style is short but not plain and boring. 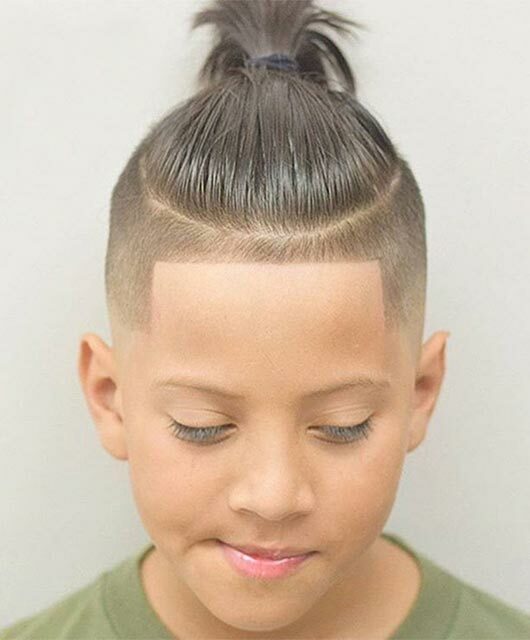 The model has thin hair but the haircut and texture masks this perfectly. 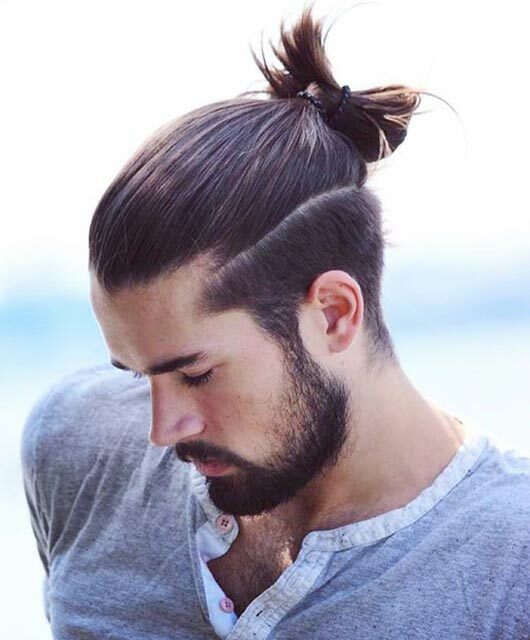 To wear this hairstyle, wash your hair and add about a fingernail-size of pomade. For a contemporary, carefree, and casual look, create any design you like on the sides. This style works especially well for straight hair. The crew cut fade starts at the ears and graduates to longer lengths at the temple. Hair at the top is parted on the side and then cut, with one side remaining longer. The longer hair can be brushed flat or styled upward at the front. 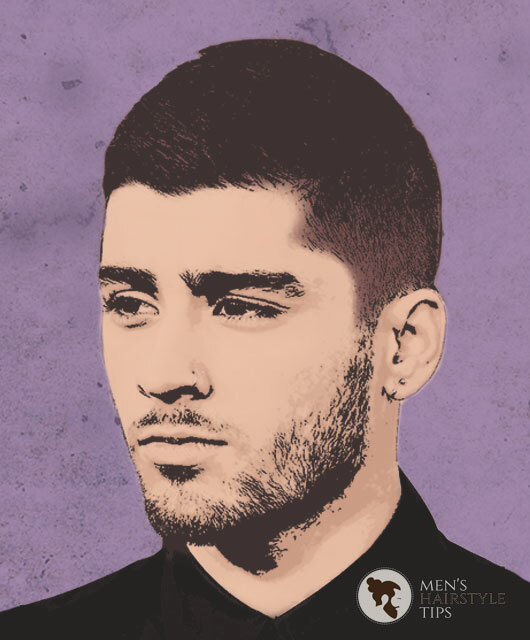 This crew cut fade hairstyle comes with a quiff and is especially ideal for thick hair as it makes it more manageable and cleaner-looking. This is a relatively short haircut that was styled with a short hair flick at the front. This gives your style a gentle hint of a uniqueness without doing anything too extravagant. 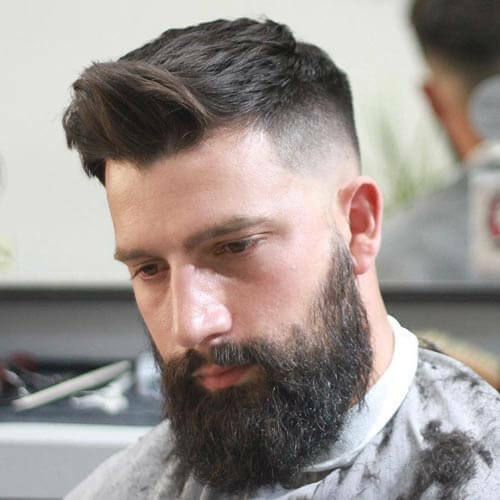 Combine this short haircut with a full beard for a rugged and masculine look. Maintenance is easy, simply apply some pomade and air dry to get that slightly tousled look.